High energy, challenging and dynamic whole body muscle and cardio conditioning class. No workout will ever be the same. Burn calories, build strength, and develop cardiovascular fitness all in one workout! We promise you, you'll never get bored. This class is held at Rebel Health NW, 5435 SE 46th Ave., Portland, OR, 97206. 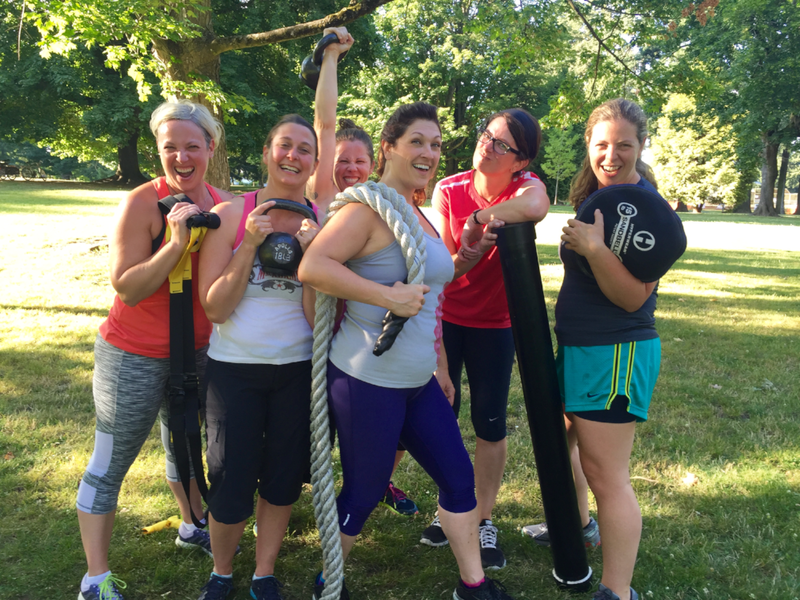 REBEL HEALTH NW Group Fitness Classes are a great way to challenge your body and reach your goals in a fun team setting. We aim to provide a safe and effective workout for all fitness levels. Every class is designed to focus on speed, agility, power, strength, and endurance by utilizing conditioning circuits, plyometrics drills, resistance training, and cardio intervals. Janan will demonstrate modifications and progressions for exercises to challenge each level of fitness safely and effectively, from a beginner to a seasoned exerciser. Many of the exercises rely on body weight, but don't be surprised if we use resistance bands, agility ladders, sandbells, kettlebells, medicine balls, battle ropes, and even tractor tires. These classes are designed to invigorated you! You will improve your mental resilience, athletic performance, and team skills. You will step up your fitness levels, supercharge your metabolism, and burn off the extra fat. So sign up to become a fitter, faster, stronger, leaner, you.